Want the body of your dreams? Then don't let any of these fitness miscues hold you back any longer! Raise your hand if you made a fitness goal this year. Yup, that should be pretty much everyone. Now raise your hand again if that goal fell by the wayside, to which you screamed, "YOLO!" and proceeded to clink glasses with your buddies at far too many happy hours. Hey, I&apos;ve been there myself more times than I care to admit. If you&apos;ve fallen off the fitness wagon again, or are hanging on by a pinky, all hope is not lost. It&apos;s never too late to start again... and again. I&apos;ve been there plenty of times, too. Hey, you live and learn, but that valuable knowledge comes at the cost of time, frustration, and often demotivation. Let me help start you off on a better foot by sharing the six biggest no-nos when pursuing your fitness goals. When it comes to making a transformation, simply "going with the flow" (what does that even mean exactly?) ensures failure. If you&apos;re truly committed to changing, you absolutely need a plan. Otherwise, you&apos;re just living on Fantasy Island, minus Mr. Roarke and Tattoo. If you talk about it, it&apos;s a dream, if you envision it, it&apos;s possible, but if you schedule it, it&apos;s real. After you&apos;ve committed to a concrete goal, such as being able to do three unassisted pull-ups, you need to identify your roadblocks. Next, come up with a plan that will aid you in your goal. Overcoming roadblocks includes negotiating scheduling conflicts and knowing what to train each day. 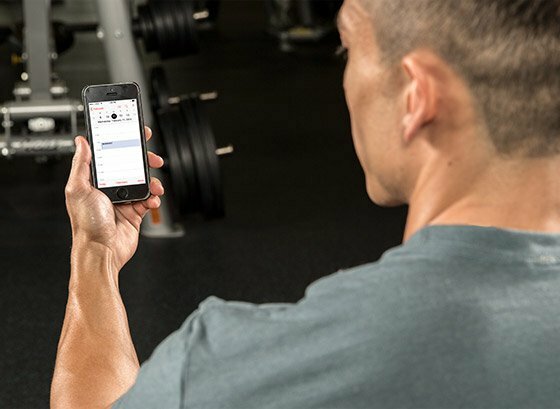 By scheduling your workouts, you know well in advance when you&apos;re going to train, and should take measures to ensure that it happens at that time each day. As life coach and self-help author Tony Robbins says, "If you talk about it, it&apos;s a dream, if you envision it, it&apos;s possible, but if you schedule it, it&apos;s real." You&apos;re excited about your new workout regimen. You bought sparkling new gym shoes, as well as an entire grocery store of "healthy foods." You&apos;re ready to do this! Love the enthusiasm, but hold on, Timmy. Going all-in too fast isn&apos;t the best idea for long-term success. Remember that anything you do is based upon a foundation of your ingrained habits. If you&apos;re not used to eating chicken breast, broccoli, and blueberries on a regular basis, news flash: Your palate isn&apos;t going to suddenly love those foods. Plus, that initial excitement fades as quickly as a child&apos;s fascination with a new toy. The good news is that there&apos;s an easier and less stressful option. Instead of eliminating all of your so-called bad habits, focus instead on building positive ones: eating quality protein and extra servings of veggies daily, going to sleep at a reasonable time, and keeping up with consistent training. These are all great things to build upon—but focus on one habit at a time, and keep adding to it over time. Additions leave us in a growth mindset, while subtraction leaves us feeling deprived. You haven&apos;t figured out your "why"
Yeah, your "why." Your purpose for being and doing. As in, why do you want to reach your fitness goals? How will achieving your fitness goals enrich your life? Working out solely for that beach body eventually loses its sizzle. Superficial motivators like that aren&apos;t enough to carry you through when life starts to roundhouse you at every corner. Question: Why do you want to work out? Sample response: To look good naked and impress people when I go to the beach. Question: Why do you want to look good naked and impress people when you go to the beach? Sample response: So I will feel more confident about myself. Question: Why do you want to feel more confident about yourself? Sample response: So I can believe that I can accomplish anything. Question: Why do you want to believe in yourself? Sample response: So I can live the life I dream about in my head, where I thrive in life and in fitness. This is just an example, but notice how deeply it drills down into your "why." So, if one day all you feel like doing is having a TV show marathon and ordering pizza, remember why you&apos;re doing this and what you&apos;re ultimately seeking. Far too many people get seduced by social media fitness stars or celebrities who reveal their "workout secrets." One important tidbit: People like that work out and look good for a living. Some may have been training for years, and know what their bodies can handle. If you have to look to YouTube or do a Google search before each workout, your workout is too advanced. 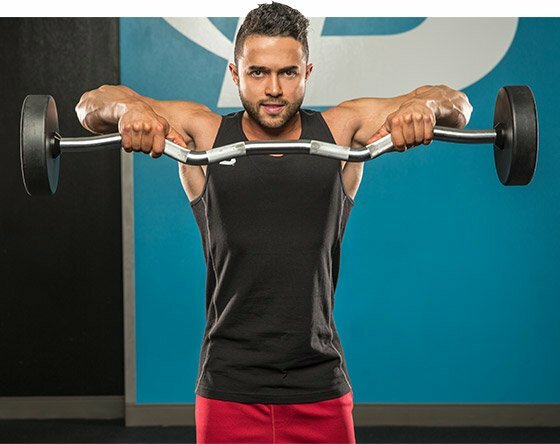 Just because a training program has numerous exercises, specific lifting tempos, and detailed dropsets doesn&apos;t mean it&apos;s better for you than a simple, straightforward workout. Quantity of exercises and complicated techniques don&apos;t always translate to good results. How do you know if your workout is too complicated? If you have to look to YouTube or do a Google search before each workout, your workout is too advanced. Have you ever thought that if this person on Instagram lost this amount of weight in this specific amount of time, then you could, too? This is a dangerous line of thinking that cam set you up for disappointment. A transformation involves more than simply the perfect workout program and diet. There are lifestyle differences, obligations, and varying budgets to consider. Take stock of your current situation and daily stressors, and focus on how you can handle them as you go through your fitness journey. Don&apos;t get caught up in what anyone else is doing—you do you. Expectations will differ for everyone because of our individual life circumstances. Take stock of your current situation and daily stressors, and focus on how you can handle them as you go through your fitness journey. Don&apos;t like CrossFit? No problem. Hate doing the low-carb thing? Then don&apos;t do it. 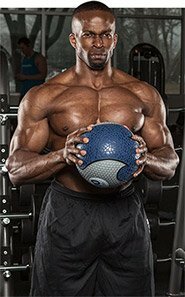 Full-body or body-part split? Doesn&apos;t matter. Working out and dieting don&apos;t need to be overly complicated, mundane, or make you miserable. For one thing, exercise should be an outlet for relieving stress, not for adding more. There isn&apos;t one type of training regimen or diet that is unequivocally superior over another. Exercise should be an outlet for relieving stress, not for adding more. The best regimen or diet is the one that you can sustain over a long period of time and learn to embrace as part of your life. Experimenting to find what works for you is part of the process; making mistakes and getting angry can also be part of the process. The last thing you want to do is make the process unbearable. What&apos;s a fitness goal you want to accomplish this year, and how will you overcome the main hurdles that stand in the way of this goal? Comment below and make your declaration!